In 1938 and 1939, the British people rescued nearly ten thousand children from the Nazi occupied countries of Germany, Austria, Poland, and Czechoslovakia. The background information can be found in last month's post - The Kindertransports: Nearly 10,000 Children Rescued from Nazi Territory. Who were these young people and what are their stories? Ursula Simon and her family lived in the small town of Quakenbruck in northwest Germany. Her mother sent extra rolls and sandwiches to school for other less fortunate children — those who were hungry because their families didn’t have enough food to feed them. Unfortunately, the recipients grew to resent these acts of charity and the Jews in the town who always had enough to eat. 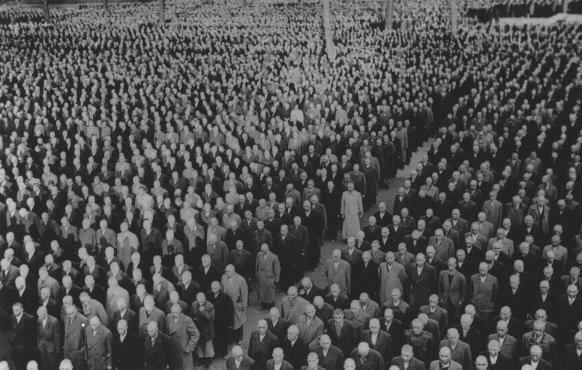 After the Nazis took power in 1933, anti-Semitism flourished in Quakenbruck. The Simons’ old friends stopped visiting them, isolating the family from the community. Yearly birthday parties were normal in Germany, and Ursula's mother prepared one for her when she turned eight. Not one child attended. Ursula now understood that she was different from the other children. Ursula’s father, a loyal, patriotic German, had fought in WWI as a volunteer. He wouldn’t consider emigrating—not from the country he had fought for, not the country to which he belonged. He sincerely felt that the German people would remove the Nazis from power, that the problems were only temporary. But the persecution gradually increased and Mr. Simon had a nervous breakdown. He spent a long period of time in a psychiatric hospital. Attending school became more and more difficult. Ursula was forced to sit alone in the back corner of the classroom, and the other children threw ink over her work. Her classmates terrorized her during playtime. On the morning of November 9, 1939, soon after Ursula arrived at school, flames flickered in her classroom window. Fire engulfed a small, ordinary house across the street which served as the local synagogue. The students streamed outside to join the onlookers who clapped, jeered, and shouted. A family lived in one of the downstairs rooms of the synagogue, and their belongings had been thrown out a window into the street. Ursula made it home only to discover that her father had been arrested along with all the Jewish men in their town. They were sent to the Buchenwald concentration camp. At Buchenwald, the guards took away the men’s shoelaces and braces. When Ursula’s father objected to the treatment of the older people, the officials beat him to death in front of the other prisoners to stamp down further opposition. Ursula’s family learned the truth from men who were later released from Buchenwald. After the events of November 9th (Kristallnacht), Jewish children were no longer allowed to attend German schools. 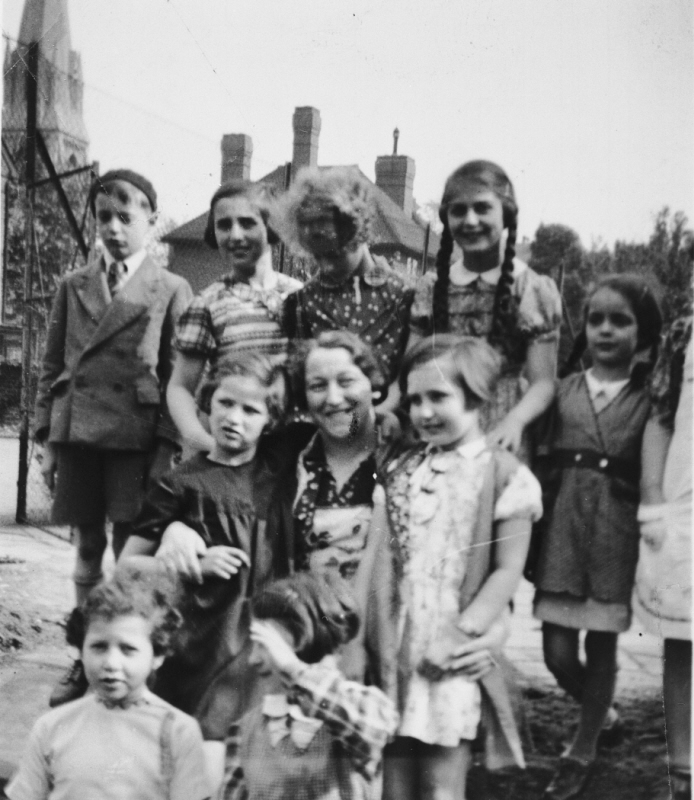 At the end of November, Ursula’s mother sent her and her sister, Hella, to a Jewish orphanage in Hamburg, Germany. The girls were thirteen and fourteen years old. 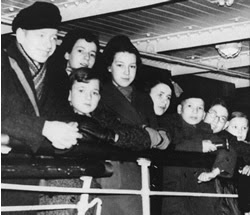 By the summer of 1939, Ursula and Hella were placed on the list for the Kindertransport. Their mother prepared their clothes and embroidered their names on each item. The girls had mixed emotions—they wanted to go to England but didn't want to leave their mother behind in Germany. Even if she could find a position and sponsor in England, their mother needed to stay and take care of the girls' blind grandmother in Quackenbruck. 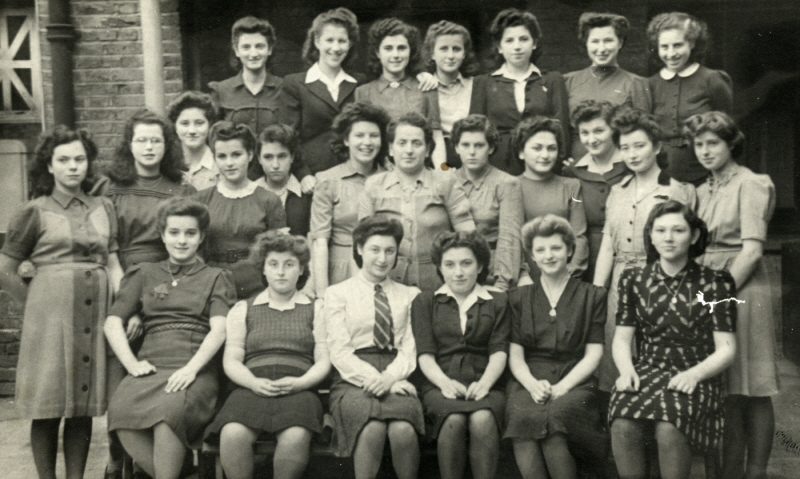 Mrs. Simon travelled to Hamburg in July of 1939 to send her girls off on the Kindertransport. Normally very controlled, she couldn’t hide the hurt and agony welling up from deep within. Her face contorted with grief as she and the girls parted for the final time. The Simon sisters and fellow Kindertransport passengers arrived at the Liverpool Street Station in London and were taken across the street to a gym to wait for their foster parents to arrive. Ursula, Hella, and three others did not find homes that day and felt that nobody wanted them. They were sent to a hostel near Kensington to spend the night, and the next morning they were directed to the Refugee Committee in Bloomsbury. They traveled unaccompanied in a country where they couldn’t speak or understand the language. Nevertheless they found their way to the Refugee Committee, and Ursula and Hella were assigned to live with a widow in Sussex. They were given a ticket, but they had to find their way to Sussex on their own. Their luggage was lost and the Committee promised to forward it to them, which they did—three months later. In the meantime, the girls wore one set of clothes and washed their underwear and blouses once a week while wearing a bathing suit their mother had put in their rucksacks. The girls arrived at their new home only to discover that their host had expected little girls, and she only had a single bed for them to sleep in. Ursula and Hella were now fourteen and fifteen. The widow was very nice to them but didn’t understand that teenagers needed more food than she did (she had a very small appetite). She told the girls that the Refugee Committee didn’t pay her enough for them, so they gave the widow the sixpence pocket money the Committee sent each week. Ursula wrote to her mother but wasn’t able to mail all her letters because she couldn’t afford pay the postage. One month later, WWII began, and she could no longer send or receive mail from Germany. Ursula and Hella attended school in England and loved it. Ursula learned to speak English by devouring books from the school library, and she developed a love for English literature. But the girls desired to be independent. After Hella turned sixteen in November of 1939, she found work in a fever hospital (for those with infectious disease) and earned enough to provide for herself. Ursula attended school for nine months and then apprenticed with a very high-class dressmaking establishment. The Refugee Committee continued to support her, and Hella secretly contributed to Ursula’s rent. She also took evening classes to continue her education. After the war, Ursula and Hella learned through the Red Cross that their mother had been deported to Minsk, Russia, where she was probably killed. The girls never obtained more information. On June 1, 1946, Ursula married Peter Rosenfeld, a fellow refugee from Germany. They raised four children and made England their permanent home. 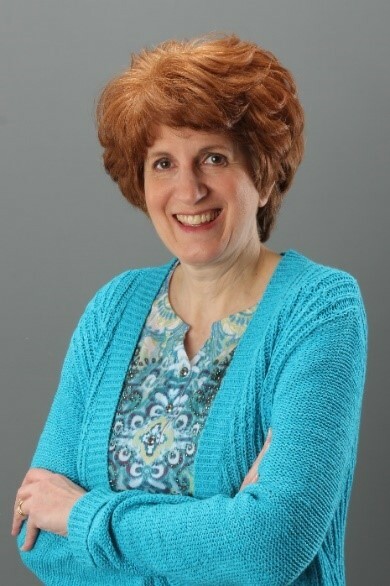 Ursula’s recorded testimony can be found on YouTube at https://www.youtube.com/results?q=ursula+rosenfeld. Resource: Into the Arms of Strangers: Stories of the Kindertransport. Mark Jonathan Harris and Deborah Oppenheimer. What a wonderful story of courage in unimaginably difficult times. Thank you for commenting, Stephanie. These children's stories are so amazing. More to come. Overwhelming and touching the incredible courage, determination and faith of these children. Thank you for sharing, Cindy. Thank you, Marilyn. I love reading the stories about the kindertransport children. They provide so many examples of hope in the midst of dark times. 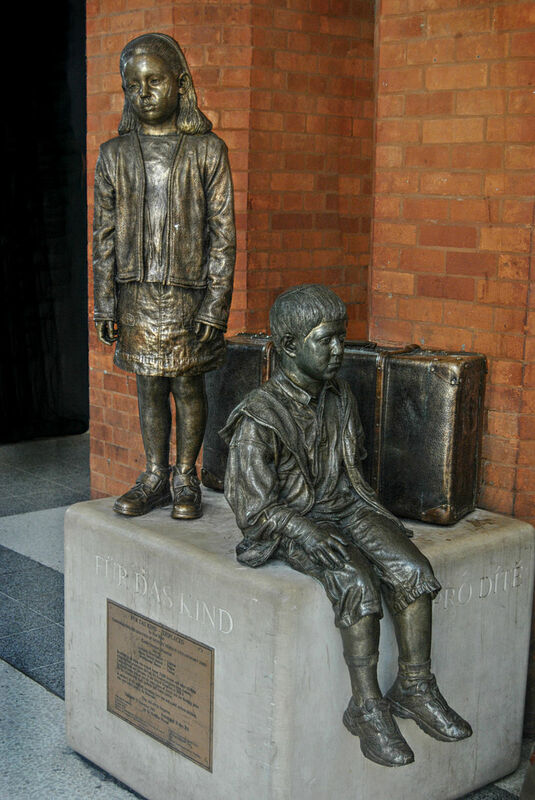 Ruth C. - I found the information about kindertransport children both very informative and interesting. 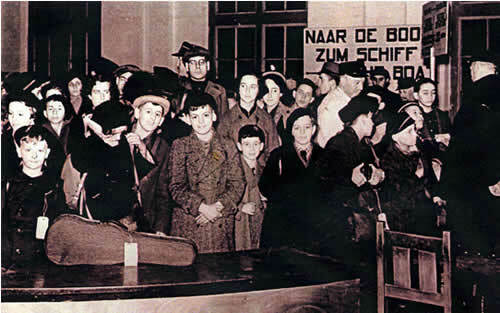 I had heard little about kindertransport children before I read this blog. I especially like that you followed the lives of the Two Sisters even through the war and to Ursula's marriage and family after. I look forward to learning more about kindertransport children. Ruth, I'm so glad you enjoyed the post. Next month I'll be sharing about a young man who made the journey but without his sister.